Looking for modern kitchen inspirations for your kitchen renovation? We’ve got them all here just for you. Check out our list of articles so you can modernise your kitchen design today! the kitchen cabinetry, instead of it looking haphazardly thrown together. What a lovely modern kitchen design! Kitchen islands have always been a staple but it’s a huge commitment. Opt for mobile kitchen islands instead that serve the purpose but can easily be moved around when you need more space. 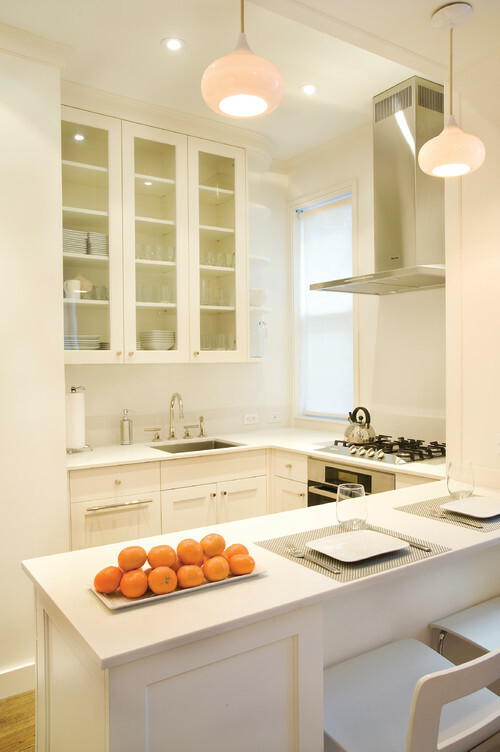 Go for vertical cabinets instead of the traditional horizontal ones. They draw your eyes upwards, giving the illusion of high ceilings while utilising and maximising a small surface area for a modern kitchen design look. out brushed nickel or chrome. to your newly renovated kitchen. Proper lighting is essential in any kitchen spaces. Invest in industrial or LED lights to ensure that your kitchen is bright and well lit. Quartz has overtaken granite benchtops as the most popular choice for kitchen counters, and with good reason! Quartz is the toughest material and is resistant to scratches, burns, and chips. Tiles are in this year and it looks like they’re going to stay! Don’t limit yourself to using tiles just for the backsplash. Try covering an entire wall that can serve as an accent wall. Dark and light kitchen fixtures are making it big this year. Think dark kitchen cabinets and white back splash and countertops. When picking kitchen cabinets, looks like wood is your best bet! Although the options are endless (cherry, birch, teak, etc. ), it looks like Oak is turning out to be a favourite when it comes to kitchen remodelling. Laminates are also available which simulates the look of real wood – giving you both sophistication and easy maintenance at the same time.